For the last few days, I have been trying to access some sites to visit using Reliance Jio Network. But found myself that, my Chrome Browser showing an error that you can't really visit this site. However, my Jio Internet was working fine. Having a couple to fine-tune to my JioFi Hotspot. I came to conclusion that only Jio Internet (ISP) is blocking these sites. So I tried to access these sites which have been blocked by Jio Internet. I resolved these issue with some VPN tricks. But in this post, I am going to cover a method where you really don't have to use any third party VPN apps to unblock these sites. But why these sites are only blocked on Jio Network? As per the TRAI's guidelines or you can say Jio Internet DNS issues could be one of the causes which prevent you to access these blocked sites. Sometimes, we have to access some important websites that are not even open properly on Jio Net. It's become so irritable that you are having enough Jio Internet Data to access surf those sites. But still, you won't be able to do. So, let me guess how are you going to access these sites if you are using Jio Internet Plan on your Android Devices. You must have been using some VPN Apps to unblock those sites. Such as SuperVPN, Tor Browser etc. But these apps come with some Free Trial Period or with Some Paid services. Apart from this, they have been consuming RAM and Battery Usage on your Android devices as well. Don't worry I am going to tell you an easy way to "access" those sites if you are using "Jio 4G Network". It's quite easy to use. As most of the Android devices come up with in-built VPN feature which we are going to use for this Trick. To access these blocked sites on your Jio 4G Network. You need to follow some easy steps (trick) to setup VPN Profile in your Android Device. After setting up the VPN Profile on your Device. You need some Free VPN account to access the PPTP server to browse your blocked sites on your device. How To Set Up Free VPN Profile on Your Android Smartphone? Follow the Steps to Set-Up Android's in-built feature of VPN services to access your block sites on Jio Network. First of all, Open the Settings Option in your Android Device. Now navigate to Network & Internet and then Click on VPN option. After this Click on Plus + icon on the Top Right Corner. Now you need to Edit VPN Profile. Just Enter any Name in the Name Field as you like. Select the TYPE as PPTP Server Address. After this, you have to fill up PPTP Server Address. To get the Free PPTP Server Address you need to visit here FREEVPN. From there you have to choose the PPTP server address, as we have chosen as "us1.vpnbook.com". Now save this VPN Profile & Follow the below steps how to get Free Server & Free VPN account. How To Get Free PPTP Server Address & Account to Access VPN on Android. After setting up VPN Profile on your Android Device by following the above steps. Now you need to enter the PPTP Server Address into that field of PPTP server in your VPN profile. You also need a FreeVPN account USERNAME & PASSWORD to get connect with the PPTP server. Confusing? Isn't it? But don't worry it's a bit easy. Just follow the steps carefully. Once you set up the whole process you just have to Tap on the VPN Profile and you're ready to browse your blocked sites on Jio Network. On the Homepage, you'll see the Option of Free PPTP VPN option. Now Copy any of the PPTP Server address. Like us1.vpnbook.com. Now you need Username & Password to Fill up while connecting to the VPN Profile. Scroll down the same page and you'll get Username & Password on the page. Copy the Username & Password. Now follow the below steps to connect VPN Profile using Username & Password. 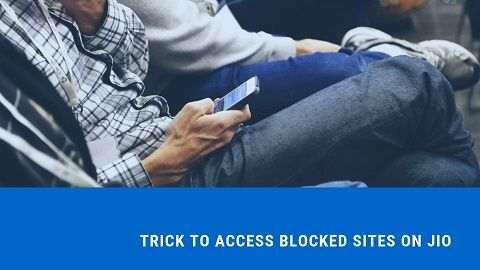 How To Connect VPN Profile & Access Blocked Sites on Jio Network? After creating the VPN profile on your Android and then Collecting the information about how to get PPTP Server address and FreeVPN username & Password. Now it's time to Connect with VPN Profile and then access to blocked sites on Jio Net. Go to the VPN option on your Android Device. Now Tap on the Profile Name of Your VPN, which you have created earlier. As soon as you TAP on the VPN Profile Name. It'll ask for Username & Password. Now Enter the Username & Password that you'll get from FreeVPN site. After entering the Username & Password, Click on Connect. After a few seconds, you'll be connected to PPTP VPN server. Now you're ready to access, browse your blocked sites on Jio 4G Network. No need to Install any third party Apps on your Android Device. No more to see irrelevant ads on those VPN Apps. No more to fill up your RAM with unnecessary apps. No more battery consuming by using such VPN apps. So this was the trick to access blocked sites on Jio Network without any apps. Where you really don't need any such VPN apps to access your Blocked Sites. Just use the in-built VPN feature to access these blocked sites by entering the PPTP server. Follow the above steps carefully and enjoy your surfing for the blocked site on your Jio Network.